To be honest here, Creed is one of the best perfume houses in the world right now. The Paris-based company has been known for its quality fragrances since the ‘80s. 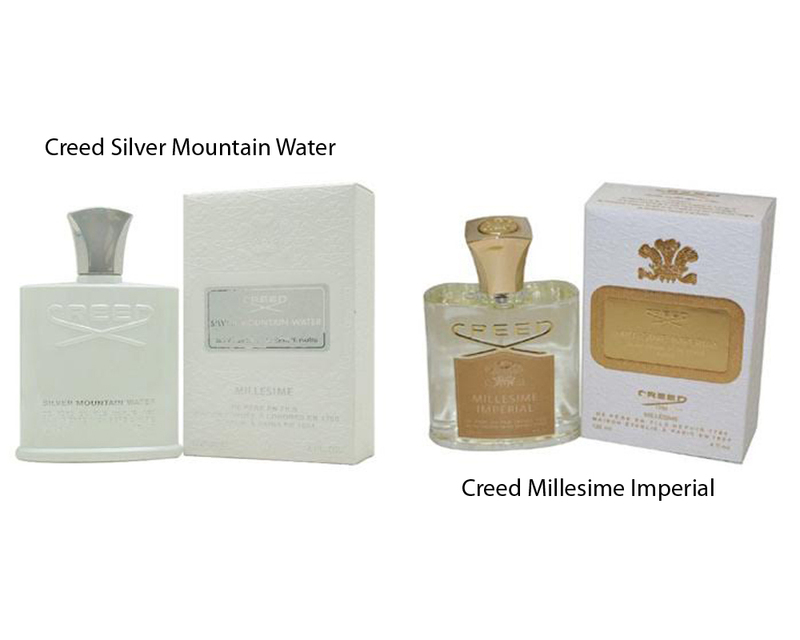 Now, if you are looking for a fragrance for men that can suit your young but elegant personality, there are two popular choices available on the market: Creed Silver Mountain Water and Creed Millesime Imperial. However, these products are sold at similar prices. So, between Creed Silver Mountain Water and Creed Millesime Imperial, which one will suit you best? Creed Silver Mountain Water offers a glorious scent that is clear, pure, icy cold, and invigorating. Inspired by the freshness of mountain water, the perfume conjures images of melting snows, feeding crystal streams under a warm spring sun. Creed Silver Mountain Water opens up with citrus top notes, featuring bergamot, mandarin orange, and neroli. It then sparkles the heart notes of blackcurrant leaf, green tea, and fragrant woods. It then transforms to the tenacious and provocative musky base of sandalwood and musk. The heart and base notes tend to come out quite quickly, while it still retains the fresh opening. The projection and longevity stand for a few hours. Creed Millesime Imperial is a clear and fresh mysterious scent with hints of woody and marine aromas. It is the timeless classic, perfect for both work and play. It also opens up with the fresh citrus notes of bergamot, green mandarin orange, and lemon. However, it then introduces the smoothness of iris, sea salt, melon, and blackcurrant leaf. The result is a scent that is sweet and fresh. The whole scent is enveloped by the solid sandalwood, amber, and musk. Similar to Creed Silver Mountain Water, the projection and longevity also last only a few hours. Creed Millesime Imperial, with the salty melon and oceanic lemon opening, makes it quite a versatile fragrance, suitable for both day and night wear, as well as formal and casual occasions. On the other hand, Creed Silver Mountain Water’s scent is quite distinctive. The freshness gives you a cool sensation, but can be pretty sharp to some people.